The Hunter Axe is one of the starter trick weapons, and commonly used by many players. It’s a blade weapon but also blunt instrument, which can blow wide range with the extended condition. The dull metallic surface heavily used in fierce battles and the rag wrapped on the grip enhances the beautiful roughness. 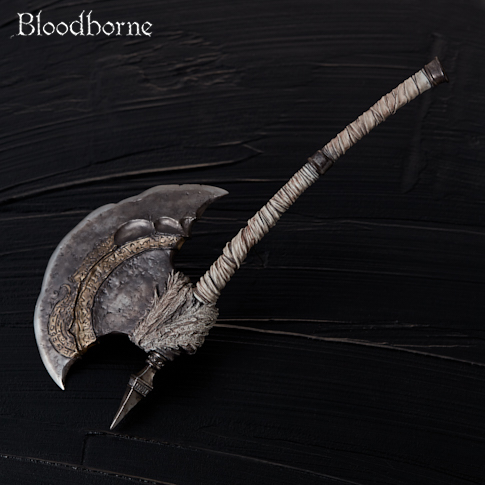 Supervised by the design team of FromSoftware thoroughly, this savage weapon is sculpted. The extended version can be recreated, also.